Daniela (Dani) is currently a senior lecturer in media management at London Metropolitan Business School in the UK. She specialises in digital media businesses and Internet media enterprises. 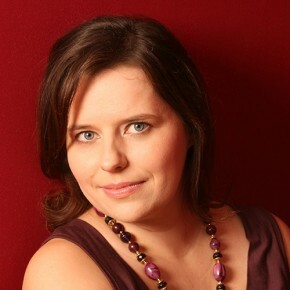 Daniela has over 10 years experience working with British, Slovakian and international media. During this time, she has worked in various positions – as a business development manager, journalist, TV reporter, media business intelligence analyst and communications adviser. Upon graduating from Commenius University in Bratislava, she worked as a current affairs journalist for two broadsheet daily newspapers in the Czech Republic and Slovakia. She then went on to becoming an evening news correspondent for a start-up commercial TV network in Slovakia. Having mastered TV journalism, Dani took an appointment advising a government office. Following this brief spell in politics, she decided to broaden her media knowledge, studying for an MA in Communications Policy at City University in London, having been awarded a scholarship by the UK Foreign Office. After obtaining her second master’s degree, at the age of 27, she was appointed a media and communication lecturer at the European School of Economics in London. Daniela also served as a Deputy Editor for the business media magazine Informa in London (UK). During her stay in Montreal, Daniela researched and wrote a series of papers on digital communications policy issues. She then worked on a project for IDATE, a leading European audiovisual consultancy based in France.